Capitol Hill Books owner Jim Toole runs the front register of his used bookstore several days a week. He has banned several words from his store, including "awesome," "perfect" and "Amazon." If the book is dead, nobody bothered to tell the folks at Capitol Hill Books in Washington, D.C. Books of every size, shape and genre occupy each square inch of the converted row house — including the bathroom — all arranged in an order discernible only to the mind of Jim Toole, the store's endearingly grouchy owner. Visitors are greeted by a makeshift sign listing words that are banned in the store, including "awesome," "perfect" and, most of all, "Amazon." 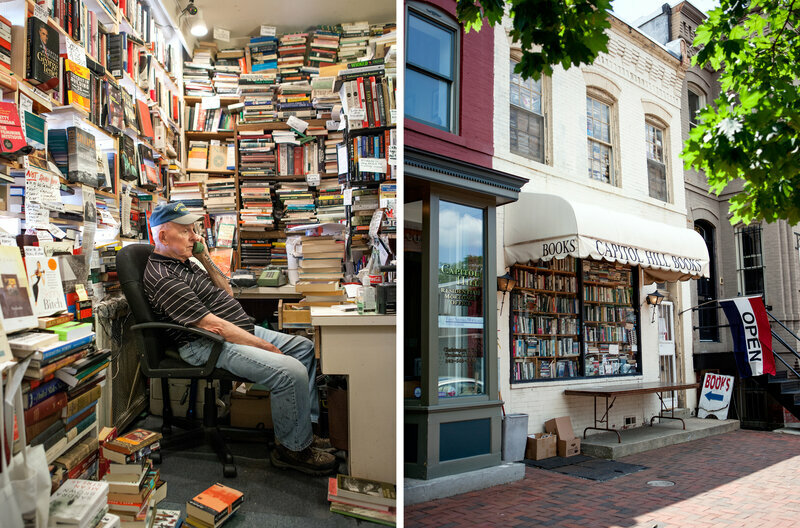 The online giant has crushed many an independent bookstore — but not Toole's. "Hanging in here with my fingernails," he says with a harrumph. 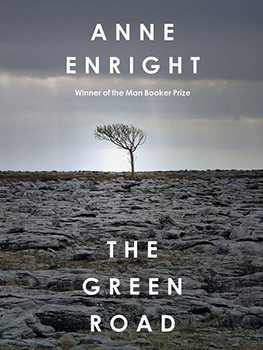 Anne Enright's turn of phrase is poetic, yet never clever simply for the sake of it. Rosaleen Madigan loves her four adult children but, it has to be said, she has a pretty funny way of showing it. Widowed and wounded, she knows she shouldn't be so cantankerous or sharp with them but it's as if her love for them brings out the worst in her. Handsome Dan, destined for the priesthood (Rosaleen took to her bed when she learned of his plan), was waylaid by homosexuality and the New York art world during the 1980s and the onset of Aids. It'd be fair to say he's Rosaleen's favourite, although no more deserving of the role than his siblings. Poor Hannah, she used to be such a fine actress but now she has a baby, the acting jobs have dried up and she plugs the great gaps in her life with white wine. Constance is the least outwardly disturbed - she married well, has a couple of kids and still lives in the small County Clare town they grew up in. Today, she's her mother's whipping boy, which mostly she takes on the chin, she's not the sort of woman to make a fuss. Elisabeth Easther is an Auckland reviewer. Read the full list for each category here. into the heaven of good health. a little mouth clamped down. 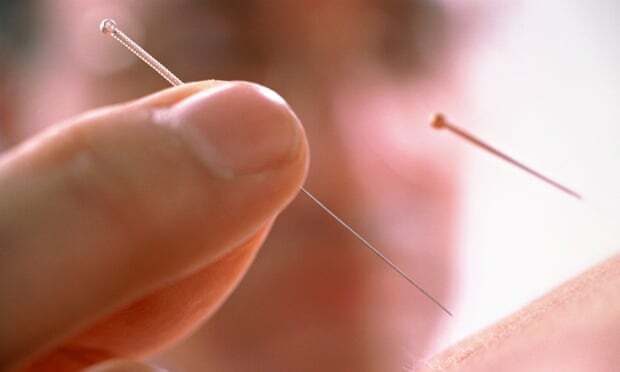 of each doctor felt against my belly. as I describe my complicated dream. spreads a blanket across my body. • From Matthew Siegel’s Blood Work (CB Editions £8.99). Some books seem to come along at just the right moment, and become so entwined with memories of a particular time and place that you revisit them at your peril. 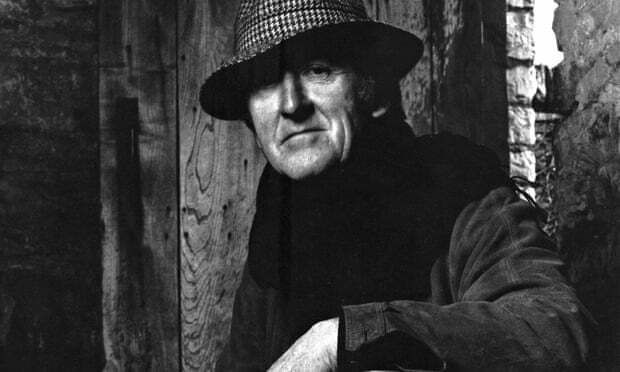 PJ Kavanagh’s fine memoir The Perfect Stranger was published to acclaim in 1966, the year I was born, and reissued in 1991. By then I was pursuing a career in acting, which is to say that I was working as a bartender, making some of the worst cappuccinos available in London at that time. Occasionally I would get an audition, or play a small role in a fringe production but while I was always enthusiastic there was a growing realisation, on my part and the audiences’, that I couldn’t really do it, and that I’d committed myself to a profession for which I lacked not just talent and charisma, but the most basic of skills. Moving, standing still – things like that. My anxiety grew, shading into panic, and a good friend gave me The Perfect Stranger, solemnly handing it over like a prescription. “You should read this,” he said, and it didn’t take long to understand why. The book is a rite of passage, following would-be writer Kavanagh from the “commonplace brutalities” of a third-rate boarding school straight out of the Molesworth books, on to a season as a moody Redcoat at Butlin’s holiday camp, and through various dead-end jobs in postwar Paris, where he dabbles in acting and longs for Hemingway-esque “experiences”. Reluctantly, he returns to Yorkshire and Northern Ireland for national service and is then posted to Korea. Now an incompetent and unenthusiastic officer, he stumbles into the first skirmish of the bloody battle of the Imjin river, where he is wounded. Recuperating in Japan, he decides that it’s time for an education and returns to study English at Oxford. Under a drizzling sky in a forest in Oslo on Tuesday, Canadian literary legend Margaret Atwood submitted an unread manuscript to a project that will keep the work under wraps for the next century. The Toronto-based Man Booker Prize winner is the first author to hand over an unpublished piece to the Future Library in Oslo. The international project will see one writer contribute a new, unread text to the collection every year for the next 100 years. The pieces will be kept locked up until 2114, when 1,000 trees planted for the project in a forest just outside Oslo will be cut down to provide paper for their publication. Anne Beate Hovind, the project director, said Atwood walked with a large crowd through the forest on Tuesday and handed over the manuscript in a simple ceremony amongst the newly planted trees. On July 4, 1862, Rev. 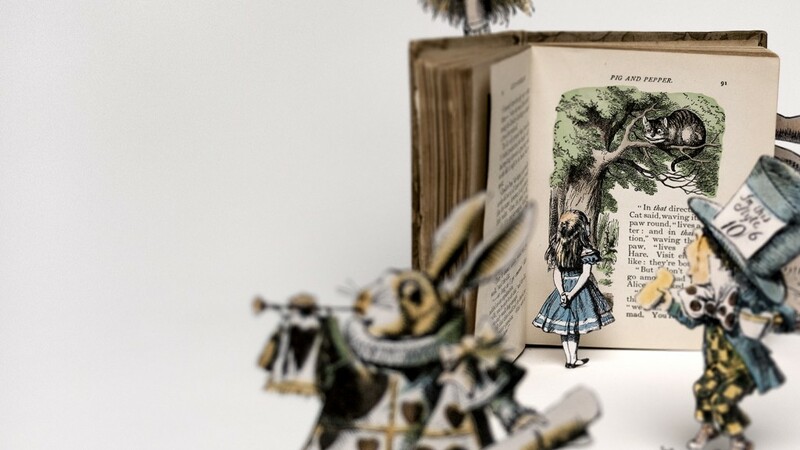 Charles Dodgson, an Oxford lecturer in mathematics better known now as Lewis Carroll, author of Alice’s Adventures in Wonderland and Through the Looking-Glass, rowed up the Thames to a picnic spot. He had with him four of his favourite people: his friend Robinson Duckworth and the three young Liddell girls—Lorina, 13, Edith, 8, and 10-year-old Alice. From the sparse evidence of Carroll’s diary, it was hardly a memorable occasion; perhaps it was the weather that July day: cloudy and damp, with a high of 20° C.
The embellishments began 10 months later—when Carroll went back to the entry and added, “On which occasion, I told them the fairy tale of Alice’s Adventures Under Ground, which I undertook to write out for Alice”—and didn’t stop for decades. By the time 80-year-old Alice Hargreaves (nee Liddell) was telling the tale on her triumphant visit to New York—the “original Alice” was greeted at the dock by more than 30 reporters—her recollection of a “blazing summer afternoon with heat haze shimmering over the meadows” was already established fact. Our National Short Story Month celebrations continue with one of the first stories written by the unparalleled Flannery O'Connor. Appropriately, O'Connor will begin gracing Forever stamps on June 5th. "The Geranium" can be found in her recently reissued The Complete Stories . 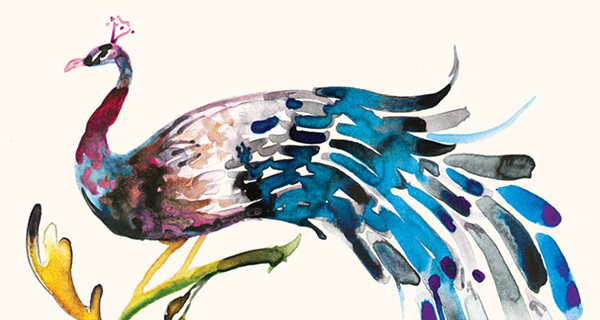 Enter to win a complete set of Flannery O'Connor's newly reissued The Complete Stories, Wise Blood, The Violent Bear It Away, Everything That Rises Must Converge, and Mystery and Manners here. The room was small, with smooth stone walls, two beautiful arched lattice windows, and furnished with a simple altar and candles. Behind me, the priest had closed the heavy wooden door, saying he would be back in about twenty minutes, after he had finished the church service. That's fine, I thought, not long to sit, and wait. I was at the Church of St Margaret, King's Lynn, Norfolk, UK, on the search for anchorholds and the memories of anchoresses, the women who had chosen to be permanently sealed from the world. During the spring of 2014, exactly one year ago, I was getting ready to graduate from college. I had started packing up my dorm room, writing my last papers, thinking about loose ends, and mentally sorting through my list of friends and dividing them into “good-bye for now,” “good-bye forever,” and “not saying good-bye.” Still, I was remarkably zen about the whole thing. I felt like I’d accomplished what I’d wanted, met good people, and was headed in a direction I’d worked hard for. 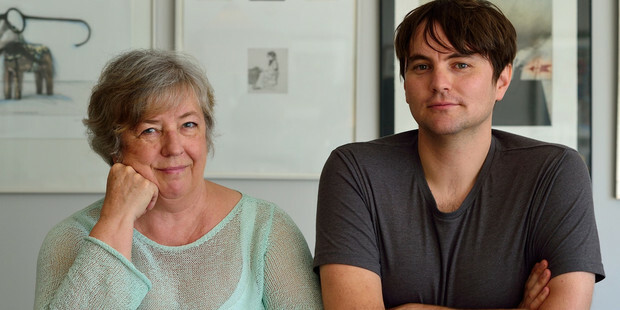 Award-winning Auckland writers Linda Olsson and Thomas Sainsbury tell Craig Sisterson why they’re collaborating on a thriller trilogy. We meet where they killed a man. Budding writer Brent Taylor was working late at the University of Auckland library when he was attacked, his skull bouncing and vertebrae popping as he tumbled down the stairs. Linda Olsson and Thomas Sainsbury smile widely as they shake my hand. They may not have personally shovelled the troubled young man's body over the guardrail, but they planned his death. And he won't be their final murder; they're just getting started with the debut of their first thriller together, Something Is Rotten. "Linda, I really think we should do something. Let's write a thriller." Sainsbury was living in Olsson's basement when he spoke those words a few years ago, the pair having met while they were taking Witi Ihimaera and Stephanie Johnson's creative writing programme at the University of Auckland. Despite a shared love for Scandinavian thrillers, it seems an odd literary coupling: A Matamata-raised scribe in his early 30s who has won awards for subversive, comic tales for stage and screen (Sunday Roast, Super City) and a Swedish ex-financier in her 60s whose poignant novels of past secrets, love and unlikely friendships (Let Me Sing You Gentle Songs, Sonata For Miriam) have been published in 18 countries and sold hundreds of thousands of copies in Europe. Footnote: The Bookman read Something is Rotten earlier this week. I thoroughly enjoyed the story and am glad to know that is the first in The Matakana Trilogy. Bring on # 2 I say ! Penguin president Madeline McIntosh, Harper s.v.p. and director of creative development Lisa Sharkey, and Pearson Learning Services president Bethlam Forsa contemplated how they got to where they are and prospects for other women’s rise to the top in a Book Expo America panel on Thursday (28th) organized by the Women’s Media Group. Hachette Children’s Group intends to increase its digital and licensed offerings as it looks for future growth. In an interview published in The Bookseller today (29th May), c.e.o. Hilary Murray Hill has said the whole industry is aware of the opportunities presented by successful licensing publishing, and that she is looking to hire both a licensing director and a digital manager. At Book Expo America in New York today (Friday 29th May), Hachette Book Group c.e.o. Michael Pietsch, Little, Brown publisher Reagan Arthur, and bestselling author James Patterson are announcing the launch of “jimmy patterson,” a children’s imprint which "aims to save lives" by making kids into lifelong readers. Author groups such as Killer Women (pictured), The Prime Writers and The History Girls can help writers find new ways to connect with readers and provide them with a “safe space” to socialise and talk about the publishing process, authors have told The Bookseller. 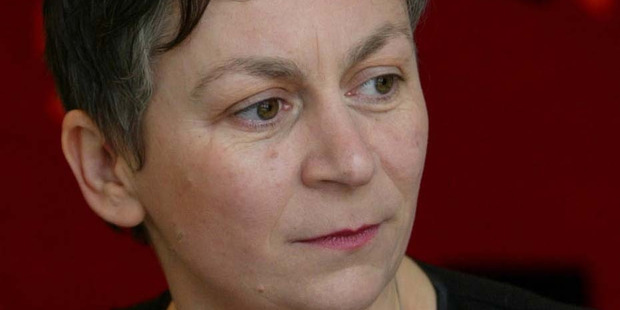 Arts Council England (ACE) has launched a £1.2m fund to support creative writing in schools. Meanwhile, ACE's recently appointed chief executive Darren Henley has urged the government to cease cuts to art funding. Between October 2015 and October 2018, ACE will invest in three funding awards for organisations that send professional writers to do creative writing workshops in schools. The money will be given as three separate awards for projects aimed at children between the ages of 8-14 and at least one will go to an organisation in the North or South West. Brian Davies, chairman of Penguin Random House UK’s distribution companies, is to leave Penguin Random House in September. Davies will also step down from the PRH executive. He will move to a four-day week until his departure at the end of September. Michael Joseph will release an autobiography by footballer Steven Gerrard this autumn. The book, called Steven Gerrard: My Story, promises to be an “intimate and revelatory account” of Gerrard’s career. Gerrard joined Liverpool at the age of eight and went on to play more than 700 games for the club, which he has just left. Gerrard has also captained England, winning 114 caps. He will now play in America for LA Galaxy. Hodder & Stoughton has pre-empted a memoir of caring for terminally ill parents which manages to be "funny and outrageous" despite its subject matter. Publisher Hannah Black bought UK and Commonwealth rights to Dan Marshall’s Home is Burning from Jenny Meyer at Jenny Meyer Literary Agency. Darf Publishers, which focuses on Arabic fiction in translation, is looking to make an impact on the UK market with its 2015 list. Although managing director Ghassan Fergiani relaunched the publishing company last year, it is actually a much older family business, one that originated in Tripoli, Libya, in 1952, when Fergiani’s father Mohammed opened his first bookshop. As the shops flourished, Mohammed began dealing with publishers and importing books from abroad which led him into publishing. The European Commission has launched a consultation on delivery across borders, as part of its work on creating a digital single market. The digital single market aims to “tear down regulatory walls and finally move from 28 national markets to a single one”. Earlier this month the European Commission announced 16 actions which would help create a digital single market, and among these was the need for more efficient and affordable parcel delivery. This autumn will see Transworld imprint Doubleday publish the first short-story collections of four high-profile authors. August sees the publication of John Boyne’s Beneath the Earth (£14.99) and Adam Johnson’s Fortune Smiles (£15); September will mark the release of Donal Ryan’s A Slanting of the Sun (£12.99, on the Doubleday Ireland list); and Rachel Joyce’s A Snow Garden and Other Stories (£9.99) will be published in November. All are hardbacks. A new literary-themed East London club night, called Late Night Library Club, is being launched, with the first event celebrating Sarah Waters’ Tipping the Velvet (Virago). Late Night Library Club has been set up by the team behind The Amy Grimehouse cinema and arts club night that celebrates the “trashy, camp, cult and transgressive”. The new club night for book lovers aims to “add a touch of trash and a splash of camp” to the traditional monthly book club. China's Pubs Court America Amid Protest: The 'NYT' explores the irony of China being feted as the guest of honor at this year's BEA, while the country's authors protest government limits on free speech and expression. Scalzi On His Monster Book Deal: The 'Washington Post' talks to John Scalzi about his $3.4 million, 13-book contract with Tor. Northwestern to Settle Copyright Suit: Northwestern University announced Thursday it has agreed to settle a copyright infringement suit against a former employee whom it hired to write a book about Chicago's notorious 1924 Leopold and Loeb murder trial. Dear Librarian: The New York Public Library's quirkiest inquiries. The scene is set in Wellende Old Hall, the “magnificent stately old pile” that has been the family seat of the Temples for centuries. 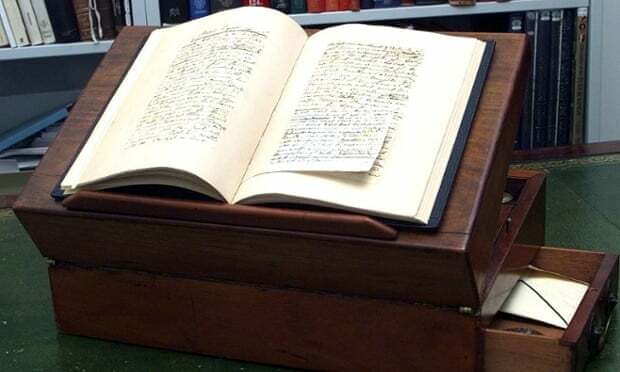 But the crime novel by the granddaughter of Jane Austen’s nephew – supposedly written on the very desk used by her illustrious ancestor – has been shrouded in mystery since it fell out of print. Now the British Library is re-issuing Lois Austen-Leigh’s The Incredible Crime, hailed as “the very essence of mystery” when it was first published in 1931. The novel is due to appear in early 2017 as part of the library’s Crime Classics series, which this year will also include works by the neglected crime novelists J Jefferson Farjeon and Alan Melville, as well as next week’s release of Christopher St John Sprigg’s Death of an Airman. WHAT A FESTIVAL! Bouquets all round.